I haven’t been cooking (and blogging) as much lately, but of course, birthday parties are special. 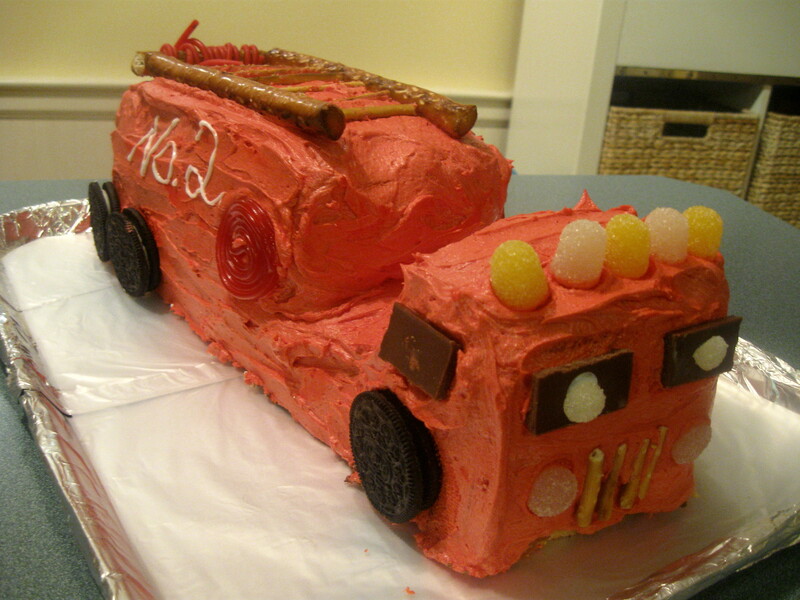 For my younger nephew’s 2nd birthday, the cake team assembled again to make this firetruck. It was a much smaller project than the Great Train Cake, but still gave us a challenge. We got most of our inspiration from this video which really takes you through the process step by step. While I have a great egg free recipe for chocolate cake, we have not found the best recipe for yellow cake yet. My Mom ended up making two cakes from different recipes. The first was this recipe from the UK version of the Food Network. The batter was much too thick so my Mom added some milk, but the cake was still a little dry. Then she made a marble cake from a box mix, using egg replacer. That one was very crumbly. In the end, we salvaged what we could to make the firetruck, but we’re still on the lookout for the best egg free cake recipe. The video shows you how to slice and stack the cakes to make the shape of the firetruck. Two things really helped us out here; using generous amounts of frosting, and putting the cake in the freezer a few times to help the frosting harden. The frosting is just a basic butter/powdered sugar/milk mixture, tinted with all the red food coloring we could find. The decorations included a pretzel ladder, gum drop lights, Oreo wheels, Hershey’s miniatures as windows, and a licorice fire hose. When my nephew saw the cake, he immediately made noises like a siren, so I do think he got the idea. Finally, the time came where he got to blow out the candle and actually eat some cake. 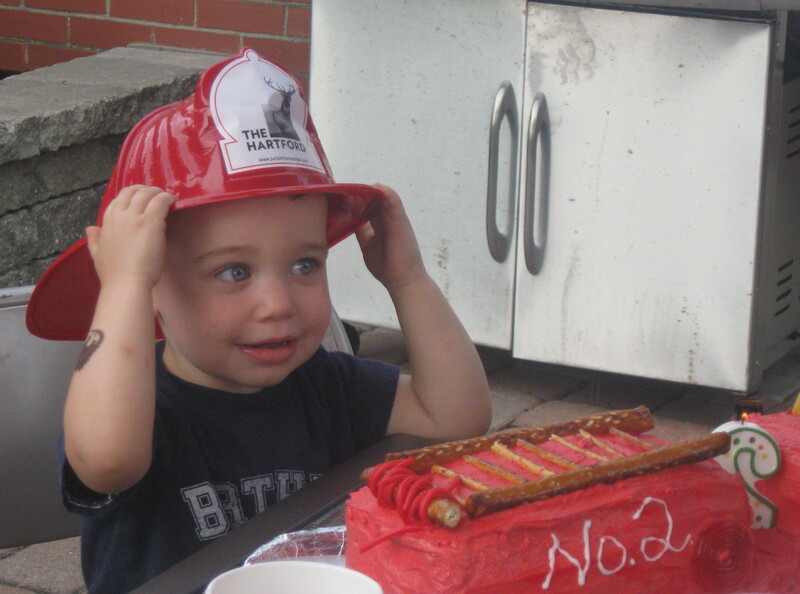 I think our firetruck cake was a success.